Where do you get your books inexpensively? I’m always a fan of the library, but they don’t carry all the books I want. I’ve tried requesting some on paperback book swap, but it seems some of the lesser known books are hard to find on there. I’m guessing you use swagbucks for Amazon, but just curious. Thank you! Most publishers state their review copy policy right on their website and many are extremely generous in their willingness to send review copies to bloggers. However, please do not take advantage of this. Only request books you are truly interested in, and which you will write a review on your blog about. Of course, no list of ways to get free books would be complete without a mention of the library! I’ve checked out countless books from the library over the years; it’s an invaluable resource! I’m always swapping books with friends–and this is a great way to keep your reading materials varied! Just be sure that you keep track of what books you’ve borrowed and loaned out. And return the books in the same condition they were loaned in. Otherwise, your friends might not be so excited to loan you books again! If there is a book I really want to add to our library (not just borrow) and I can’t get it in PaperBackSwap, then I usually will save up my Swagbucks to “buy” it. Swagbucks offers a great deal on the Barnes and Noble gift cards so I often request those as rewards. And then I try to wait until Barnes and Noble runs a free shipping deal, and I have a coupon code. Combining that with shopping through a cashback site, I can usually get a great deal on a book I really want–all for free because Swagbucks is covering the tab! What are your favorite ways to get books for free? Tell us about it in the comments section. It’s not free, but cheap: my husband and I shop the quarterly book sale fundraisers put on by our library each year. Great deals, great books! Booksneeze.com is my new favorite way to get free books – it’s a program that the publisher set up for people to easily be able to read and review their books! Check it out! Thank you, thank you, Mollie! Just signed up and I am soooo very excited! Thank you so much for posting this! I signed up & can’t wait to get started! I use bookbub.com and Amazon.com to get free books for my Kindle. On Amazon I search for free books for Kindle and Bookbub has free or cheap books, full copies not just sames. Library! I am finding that I can’t re-read books. I remember details too much so re-reading takes all the “drama” out of it. So I ending up having all these books that sat around. I’ve ebayed them since & gave to my local library. Plus by using my library I feel I am supporting my community. (For Indiana residents specifically) If you live in a small town with a limited library circulation and no budget to purchase additional requested books, you could think about getting a PLAC card. This card allows you to get a library card at libraries outside your residence county/city. There is a fee attached to the card — it used to be $25 — but if you are an avid reader like me you could easily spend that much on books in a month or two. I would go to the library in the city where I worked that had a much better selection! You can also ask about interlibrary loans for specific books. We bought Amazon’s Kindle reading device before our one-year, seven country tour around South America, to ensure we had English books available to us wherever we went. We fell in love with it! We found two sites you can get free electronic books. The first is the from the Gutenberg Project, a site dedicated to getting the classics digitized (I downloaded my Jane Austen collection from here). Most of the classics are available at this site: http://www.gutenberg.org/wiki/Main_Page. The second site is considered an electronic lending library from The Burgomeister where you can check out up to 5 titles every two weeks: http://www.truly-free.org. He has a large selection of current and classic fiction and non-fiction books, but you won’t find any current romance novels here. If you don’t have a Kindle, you can download books directly to your computer and read them there. Also, one final spot for free or very low cost Kindle books is the Amazon site itself. 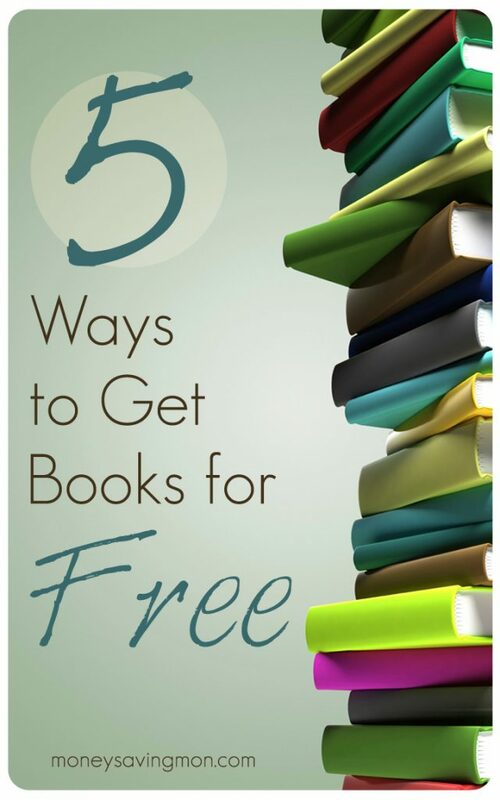 Publishers will frequently offer novels for free or for very little money. To find these books go to the Kindle Store and sort by price, lowest to highest. If you are looking for a specific genre, you can do this in the specific category you are looking for. There are is a good selection of quick read Harlequin romance novels, sci-fi novels or the classics for free. Happy e-reading! I get books from publishers and publicity companies that work with authors, like FSB Associates and Phenix & Phenix Literary Publicists. I’ve also gotten a few through the Early Reviewers program on LibraryThing and one from the First Reads program on Goodreads. I also use the library pretty heavily and we always get bookstore gift cards for Christmas so that is how we buy the books we know we are going to want to keep for a long time. I agree with the library. They have so many resources that people aren’t aware of, especially online resources. Ours offers online books, videos, downloable audiobooks and so much more. And, it’s free. What could be better? Our library has a bookstore called “Re-Reads” where they sell all the books that were donated that they can’t use, or books that they have removed from their shelves…kids books are .25-.50. They’ve also got audio books, DVD’s, VHS’s, magazines, cookbooks, large-print, etc.! It’s run by volunteers and is a great way to raise the operating expenses for the library. Good ideas! Didn’t know about the publisher requests. Thank you. Do you then send the books back to them or do you keep them? And if you keep them, does that impact taxes in anyway or is it a ‘gift’ so to speak in exchange for a written review? On a slightly different note: in order to keep my books organized at home & know what I have/what I need, I’ve made a “library list” for our household in Excel. That way, I’ll pull it up on the computer, sort by author/publisher/title/type of book, etc & find out how many copies I have. Believe me, it’s been a lifesaver to our family, especially when homeschooling conferences are on the horizon! Library!! I probably get 95% of my reading material through the library. If they don’t have what I want (or it’s a book I just really want to own), I use Paperback Swap. Occasionally I’ll buy a book new. Once a month our family has “Book Night,” which is where we all go to a bookstore and each of us picks out a book. There are only three of us, so it’s not TOO pricey. My husband and I are both writers, and we think it’s important to support authors by sometimes buying new books. I hadn’t thought of using swagbucks for that–that’s a great idea! Also, while it’s not free (but neither is PBS, technically), used bookstores are often good for finding books at really low prices. Last Christmas we bought our daughter 3 or 4 board books for something like $7 at a used bookstore. I looked up their list prices on Amazon and they amounted to over $27! These are great tips – Thanks you Crystal! I just wanted to add though that not all library’s interlibrary loan is free. I live in a small town and unfortunately our ILL costs $2 per book. Ugh! Certainly it is cheaper than buying but you still only get to keep the book for 2 weeks. Kind of a bummer for me. So just wanted other readers to be aware to check out their own library’s policies before planning on the ILL being free. I don’t think you’ve written about OnRead yet but it is DEFINITELY one of my favorite discoveries of 2010. You can read NEW bestsellers totally for free online. Truly, truly amazing! My exclamation posts in this comment are a little out of control, but it really is that cool…. Or just go directly to http://www.onread.com!! A FANTASTIC resource to add to the free-books list! Ooh! Thanks so much for that tip, I’ve not heard of them before! I love learning about new resources like this! I also use booksneeze.com, as someone else had mentioned, to get free books to review. I haven’t tried Paperback swap yet, just because I’d rather not pay shipping, but I may have to look into it and see if there are newer books that would be worth it. I love love love the bag sales at the library, and garage sale finds in the summer. Bookmooch.com as well! It’s about like paperbackswap…but I tend to mind more rare books on this site. It’s more personal; if you need to ask a question about a book, and most book conditions are listed, so you can pick the copy that you want. I forgot to mention…bookmooch.com lets you participate if you are overseas; something that other sites do not. @Heidi, So you just pay intl shipping, Heidi? Yeah…if it’s a paperback it’s not too bad…though I once sent a hardback to Australia for $11… You have an option to not send overseas; it’s not mandatory. As far as sign-up fees, there are none. You just pay USPS shipping on the book, USA, or overseas. While its not free….I enjoy going to my local used book store. I get store credit for any books I bring in. They have a HUGE selection of books-including kids books. So I can walk out of there with a few ‘new’ books (to me) for the cost of what one book would cost at the store. I think thats a pretty good deal. I also ask on freecycle.org. I have found some WONDERFUL books on their. I use Paperbackswap and LOVE it! Good tips. I’d also recommend Bookmooch.com. @Leslie, Hey Leslie – So – I am book obsessed and always ask paperback swap members this – you definitely see it as worth the shipping price, right? @Claire at Saving Money Plan, Hi, Claire—Yes, I do. I’m getting rid of books I don’t want, and paying a fraction of the price for books that I do want. I love it! I also shop our Friends of the Library quarterly sale. Usually, there are a lot of great books that have been donated, not just library castoffs. There’s always a half-price or fill a bag day on the last day of the sale. Sometimes, if you become a member of your local Friends of the Library, you can get even more perks. We get them for free at a local college before they go to the recycling center, also from a recycling place in the next town over that is a book rescue. A public library over by our airport will sell a paper grocery bag full of ex-lib books for $1.00. We resell them at our yard sale to make money. Ive also picked up books that are left over at end of yard sales, sometimes people are happy to give them away to booklovers. I recently discovered the digital book section on my library website. I can download PDF books to my computer or audio books onto my MP3 player. I love listening to a story as I clean or go for a walk. Another great way to get free books is through swaptree.com. You post what you have and what you want and they match you up with people who have the items on your want list. The book is free all you do is pay shipping. You can also do household swaps with friends, borrow them from family, friends or your local library, our local freecycle had a book basket that went around and people just swap out books they want and sometimes people offer the books that they are done with on freecycle and you can get them that way as well. I love Paperback Swap. I read about it on your blog about a year ago and have been pleasantly surprised. I have gotten cookbooks and cross stitch books as well as novels, history books, etc. All of my friends are now using it and even my 15 year old son regularly asks for books through Paperback Swap. Thanks for the great advice. Project gutenburg, is a great way to get free books. Tons of late or out of print books for free. Download to your pc, kindle, nook, reader or ipad. 1. Friends of the Library used book sales, that they do twice per year. Kids’ paperbacks are 25 cents and hardbacks are 50 cents! Can’t beat that! I sometimes go to other used book sales in neighboring towns as well – some are priced better than others, so don’t get discouraged if the first one you attend seems overpriced. There are probably better ones around. Many of the sales do a “bag sale” on the last day where you fill a bag for $5 or so. 2. Used bookstore – there is a used book store about 20 miles from where I live. I bring in any unwanted books and get a 50% credit. Then I turn around and buy books I want. They have a huge selection – McKays in Manassas, Virginia for anyone in the DC area. 3. Thrift Stores – I have a local thrift store that sells all children’s books for 25 cents. I check there about once per week for books. Adult books are 50 cents for paperback and $1 for hardback. 4. Book Swaps – I’ve done a book swap in my Mom’s Club. My friend’s daughter’s school does a yearly book swap. Each child brings 10 books and is allowed to take 10 books. Moms’ Clubs, Homeschool Co-ops, Scouts, or neighborhoods can do a similar type swap. Over time among those sources and the library, I have gotten most of the books I have needed for very cheap or free. Another website I have found to read books online is dailylit.com They send you books in 5 minute installments so even if you don’t have alot of time to read you can read a little each day. You can have it scheduled to send more than one installment at a time. Thrift Stores are a great place to get books too. My daughter and I went shopping the other day, got a bag full books for $2.33! We are so glad to have found a thrift store close by with 1o cent books! Some thrift stores sell them for 25 cents to a $1. Half.com is another good website too though, for low priced used books, etc. Another great thing about Paperbackswap. Not free, but pretty cheap. If you don’t have enough credits for books you want, you can buy 3 book credits for $10. I think that’s pretty cheep – 3 books for $10 and it includes shipping as the shipper pays for that. Over the last few years I have probably gotten 50 books for my family. Probably 98% of the time, if I didn’t know better, I would think they were new! Good ideas! Unfortunately, interlibrary loan is not free everywhere, though. It costs around $1.50 here, still a good deal for reading some books, though if I think I will want to keep a copy I’m more likely to put that money towards buying a copy. We use Paperbackswap, but only occasionally. Most of the books I am looking for have VERY long waiting lists. I have been on the list for some books for over a year now. I would say the library is the best FREE source. But I usually just purchase my books on ebay. I get coupon inserts from my local recycling center, and often find great books there too! Most of the books are in very good condition, they have a wide selection, and best of all, they’re free. There is also a chain of bookstores where I live called Book-A-Holic, which sells new and used books; they will buy, sell, or trade, and they’re locally owned. And, of course, the library is a fantastic place for books and media, and has a lot of free or low-cost events. I recently talked to a librarian in our Austin, Texas library system. She said that the system will buy books the public requests. I know this may not be true for every city’s system, but it would at least be worth asking, if you’re not finding what you want. Also, for Texans (not sure if the chain is outside of Texas) with a Half-Price-Bookstore in your area, check out their children’s reading program in the summer. They offer giftcards to the store as reading incentives. Combined with sales, this can yield cheap books for your kids. Another idea is to start/join a bookclub. The two I’ve been in are this format – each girl reads whatever book(s) interest her and shares about it with the group. If anyone else has read the book at any point in the past, there might be some discussion. Then all the girls bring books to share for a bookswap. This yields a great way to borrow and exchange books with friends. I’ve also noticed that garage sales and ebay seem to be a great place to find cheap used books. I agree that, as someone else said above, Paperback Swap is technically not free: you’re paying the postage when you ship books out. Since I would rather pay to “get” something than to “give” away books that have become clutter, I use bookins.com. It works similar to PBS, in that you get credits for the books you send out to others – but you don’t have to pay postage for doing that. (You print off a postage form from the site that is coded for the appropriate payment.) You do pay a small fee when you get a book, but it’s always under $5. I take a bunch of my old books and trade them in at the local used book store for store credit (you could also get cash, but is less then the store credit). Then I use that credit to get books which they have buy 3 get the 4th free. Plus they have a children’s deal where if they find the stuffed bear the child gets a free book of their choice. Last time we were there I traded in a small bag of books, got 4 books for myself and a nice book for daughter and only spent $0.50. For those in the Baltimore area that are interested, check out Ukazoo in Towson. I havent read all the responses. I would say that you should really really check your library, and not just your branch. I reserve all of my books online,and many of them come from other branches of our medium sized town. I hardly every actually walk through the aisles. Also, check online for local used book stores, especially if you read a lot of fiction. I have one nearby where for every two you turn in you get one. And of course if you have more books to get rid of and a half price bookstore near you they are an excelelnt choice-and right now they have daily coupon specials. I love, love, love Swaptree – you can swap your books, DVDs, games, CDs, etc – all for free! You can grab some hard-to-find and out-of-print titles that way!! You can ask your local librarian about Dolly Parton’s Imagination Library. Newborns through five years old can join and they will be sent one book a month until they are five years old. It is free to you! My son has received many wonderful children’s books this way. I also shop at the thrift store for books and magazines. Oh yes! I can attest to this great program. My 6yo has “aged out” but my 15 mo old has been signed up since she was born and we now have tons of great books thanks to Dolly! I used to work for the Nashville Public Library, and many of our patrons didn’t realize that they could get more than what was on the shelf at their local branch. Metropolitan library systems typically have a central/main library along with neighborhood branches of varying sizes; the main library and larger branches will have more offerings on the shelves than will the smaller branches. But patrons at the small branches can typically request items from other locations and have them delivered to their own branches for pickup. Also, some public libraries have lending agreements with local university libraries. These agreements allow public library patrons to borrow from the university libraries, or university students to borrow from the public libraries. Just be aware that there may be restrictions–e.g., public-library patrons may only have access to certain parts of the university’s collection, they may not be allowed to borrow materials for as long as students can, or students may get priority for materials that are in high demand. I don’t know if they offer discounts to all homeschoolers, but Borders and Barnes & Knoble offer discounts to those that teach at home through HomeLife Academy (must show a teacher’s certificate issued by the Academy http://www.homelifeacademy.com). It might be worth checking out, if no one hasn’t. I have discovered that I can download a version of Kindle from Amazon to my PC and read a book on my desktop or laptop. There are quite alot of free titles to choose from or I can purchase a title using Swagbucks! e-libraries are getting popular. i like checking out books online via my local library’s website. i check out e-books by downloading the book and reading software and i can access it until the book is “due”. many of these files can be loaded onto an e-book reader or phone too. i like audio books too! you can load them onto your ipod or computer. no more late fees! because they automatically block your access after the due date. my local library should put my name in a brick for all the late fees they used to get off me. Not free, but fairly cheap. I’ve used BetterWorldBooks a few times for getting used books for a few bucks. Free shipping in the U.S. and the bargain bin has 5 for $15. I also recommend Swaptree and the local recycling center. Another fun thing to do is swap paperbacks with a group of girlfriends. Just put a bookplate with your name in front if you want it back. From someone who works in a library I would strongly recommend that everyone try to use their public library! Thanks for promoting this and Interlibrary Loan is a great tool!! Most all public libraries and universities lend their items out to another libraries. Don’t forget though that you can get all kinds of stuff at your library like magazines, audiobooks, and DVDs or videos! I do all of those except paperbackswap and swagbucks. I’ve had pretty good luck with the library so far even though sometimes I have to wait. I just got The Help yesterday and have had it on hold for about 3 months. I also check GoodWill once in a while for cheap books. I get books for 25 cents to 50 cents at garage sales that are in great condition and trade them at a store in town for the books I want. A great way to get new books very inexpensively is to host a Usborne Books Home, Catalog or Electronic Show (or all three). It is a great excuse to get your friends together for a snack and talk about your favorite things: kids, literature and bargains! And the products are amazing and come with a guarantee! A hostess pays just $2 plus tax for her earned books. You can visit http://www.usborneonline.com/consultants.htm to find a consultant near you. The majority of my children’s home library consists of awesome, high-quality Usborne books, which I earned by hosting one of the parties you mentioned! For kids – http://www.imaginationlibrary.com/ – Dolly Parton started this in her home county in TN and it has spread nationwide. Just register your children and if your county participates, your child gets a free book every month until they turn 5 – completely free! I’ve heard they they do periodically send requests for donations, but you don’t have to pay to continue to participate. Thanks so much for these valuable tips – I completely agree on not paying for books if they can be borrowed or swapped. The same goes for my son’s play station games. I am attempting to teach him to not spend money but using various places online to swap, or use thrift stores or garage sales. Not always he wants to listen. Just came across this one today – http://www.questia.com/publicdomainindex. Free books to read online! thanks for all the tips! sharing with friends is SO useful, im at the point where i’ve basically started my own library system to keep track of which friend has which books because we share so much! i have yet to try it but i’ve also heard entering book giveaways is fairly successful because they generally have low entry rates. Free audio books from the library. The local library belongs to a larger group, that supplies the lending software for free. I check out one book at a time on digital download, and listen to it while I am working around the house. Kellogs will send free children’s books after you get so many points for buying particular products. Another great source for me is a local used book store- I bring in books and get store credit to go shopping for “new” books. All have free Books of multiple genre that you can purchase for free. I have a kindle and use all of these on a regular basis.. I download books to my Kindle from my local library. I download books to my Kindle from my local library. However, they don’t always have the book I want. I’ve found that many libraries throughout my state will let me have an account even if I don’t live in the area. I have library cards for at least three libraries in Ohio, and download digital books from all of them. Little free libraries are popping up everywhere in the last couple of years!! You can google where they are located in your city if needed. I always find and give great reads!